Following the recent gale of defections by some prominent members of the All Progressives Congress (APC) to the Peoples Democratic Party (PDP), indications emerged at the weekend that President Muhammadu Buhari’s allies have declared a ‘political war’ on the dramatis personae. The three major actors among others on the radar of the presidency include the Senate President, Dr Bukola Saraki, Benue State governor, Samuel Ortom, and his Sokoto State counterpart, Aminu Tambuwal. A high ranking member of the APC said that even though the presidency feigned indifference to the defections, it is not leaving any stone unturned to ensure it clips the wings of the actors in the ensuing power game. It was learnt that even as President Buhari and the ruling party are careful not to adopt undemocratic tactics to achieve their aims, they are determined to curtail the damages the actors’ actions can cause to the fortunes of the APC in next year’s elections. The Senate President, our source said, would be the first target as President Buhari’s hatchet men are working round the clock to effect his impeachment immediately the red chamber resumes from break. Its also learnt that part of the plan by the presidency is also to penerate the ranks of the lawmakers in both Benue and Sokoto states to see the possibility of impeaching their governors to create room for the APC to reclaim their states. On Thursday, the PDP had alleged that the presidency and some senators of the APC had perfected a plot to impeach the Senate President, Saraki and his deputy, Ike Ekweremadu. The national publicity secretary of the party, Kola Ologbondiyan, in a statement alleged that part of the plot was for President Buhari to embark on a two-week vacation in London as an alibi to exonerate him from the plan to forcefully remove the two presiding officers from the National Assembly. The PDP claimed the plot was hatched in a meeting, on Wednesday night, August 1, between the presidency and some APC senators bent on taking control of the National Assembly. The opposition party said it had got information that APC senators, especially members of the Buhari Parliamentary Support Group (BPSG), have been provided with huge sums of money to carry out the plot. “It is clear that President Buhari and the APC are hugely terrified and distressed by the gale of defections from their fold and have resorted to underhand methods, threats and intimidation, irrespective of the damage being inflicted on the polity,” the PDP said. Last week, 14 senators defected from the ruling APC and the House of Representatives where 37 members also jumped ship. Former President Olusegun Obasanjo’s inspired African Democratic Congress (ADC) received two senators and four representatives who defected from the APC while others went to the PDP. 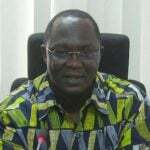 On Wednesday last week, the governor of Benue state, Samuel Ortom, following the footsteps of the National Assembly members defected from the APC to the PDP with ten of the 18 APC members in the State House of Assembly, 13 of the 24 local government chairmen and 276 councilors. He now has 22 members of the 30-member house behind him. 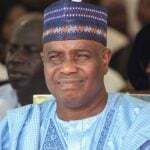 After Ortom’s defection, Governors Tambuwal of Sokoto state and Abdulahmed Fatah of Kwara state followed suit and joined the opposition party. Speaking on the development, Chairman, Presidential Advisory Committee Against Corruption, Prof Itse Sagay, said no power can cripple or frustrate President Buhari’s government. The Law Professor, noted the defectors earlier made the ruling party sick, stressing that the Buhari government was going to be stronger now. His words: “There is nothing much. Everybody is truly going to where he belongs; there are too many odd fellows both in APC and the PDP; too many people who do not belong, who are ideologically different, whose social and moral obligations were different; those who do not care for the country, for the populace, but only care for their pockets and progress. On the perception that the development might cripple the government, he said: “It is not possible to cripple or frustrate Buhari’s government. He was elected until May 29, 2019. Nothing on earth anybody can do about it; he will be in power until that day for certain. So, how are they going to cripple the government? Sagay however faulted the situation where some lawmakers are trying to impeach the Benue governor. He said: “Obviously it is wrong; it is unconstitutional. I don’t know why people try such a desperate thing. 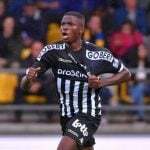 Obasanjo was the one who introduced this into Nigeria. He did it in Bayelsa, did it in Plateau, did it in Oyo and did it to his good friend, Fayose in Ekiti, until the Supreme Court finally gave a judgement in which they laid down all the principles and procedures involved and that finally deflated the Obasanjo system, by which five people would suspend 19 people and then proceed to try to remove the governor. In his reaction, the former Minister of Information, Chief Tony Momoh said a government in a democracy should be based on due process because what drives it (democracy) is the rule of law. He said: “Our government must follow the constitution. The president swore to abide by the provision of the constitution. So, did all other operators in the system. And anything outside that due process is unconstitutional and unacceptable. Speaking on behalf of other APC senators, Senator Abu Ibrahim, who represents Katsina South, said Saraki’s continuous stay in office was slowing down activities of the APC led Federal Government and as such should be removed. Ibrahim said: “I think it is commendable that he has left the party. 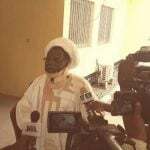 He has chosen the path of survival because it is the issue of political survival not any thing for Nigeria. But next is for him to resign as Senate President because by all conventions all over the world the majority party produces the leadership; Senate President, the majority leader and others. On the allegation that some senators attempted to break into the Senate chamber on Wednesday to reconvene plenary, he said: “How do you break into the chamber? If we like we can reconvene legally because it is legal for us to reconvene. We don’t need to break into the chamber when we have the number. I will never subscribe to that. “We can reconvene, the rules are there that if we are up to 30 we can reconvene. Why should we break into the chamber when we can reconvene legally and do what we want to do. It is legal. I don’t see why anybody should contemplate that we can break into the chamber. I don’t know about it and even if I know about it I will say it is unwise. Like I said, the rules are there that if we are 30 we can reconvene and do what we want to do. If the leadership does not ask for peace, it will not get peace. Peace is a function of leadership. On the effect of the gale of defections hitting the APC, he said: “There are some losses that will give you sleepless night. There are others that will not give you sleepless night. We have made our calculation, I am confident that that we will not lose. For the past two years, Saraki has undermined the government. He has allowed frivolous motions to attack the President and the government. His continued stay as Senate President does not augur well for the APC government. 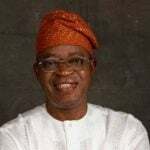 A traditional ruler in Ife South Local Government Area of Osun State, the Olubosin of Ifetedo, Oba Akinola Oyetade Akinrera, Latiti I, has praised the state governor, Mr. Gboyega Oyetola, for regular payment of workers’ salaries and renovation of the General Hospital in his domain. 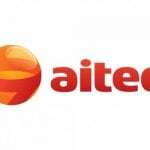 A fire on Nigeria’s oil-exporting Nembe Creek Trunk Line reported on Sunday has been completely extinguished, operator Aiteo said in a statement. 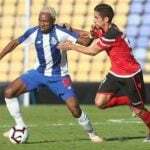 The Nigeria Football Federation (NFF) says it is working hard to secure the visa that will enable stranded U-23 Eagles midfielder Kelechi Nwakali to return to Portugal. 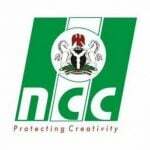 The All Progressive Congress (APC), Sokoto State chapter, has appealed to the state government to curtail alleged political victimisation of civil servants in the state.